It’s one of Europe’s most classic locations – and earlier today, it became the latest target of jihadist terror. 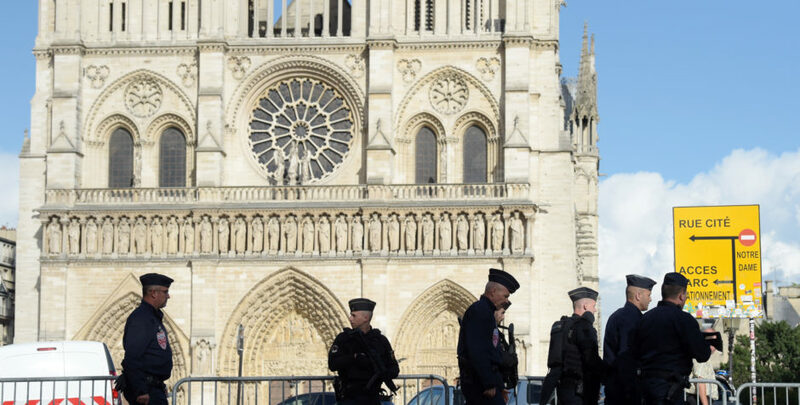 A man with a hammer cried "This is for Syria" before bashing a police officer in the head outside Notre Dame Cathedral in Paris Tuesday, a top official revealed, as a terror investigation was under way. Paris has been under high security after a string of Islamic extremist attacks in recent years. In February, a man attacked soldiers outside a shopping mall near the Louvre. He was heard yelling "Allahu Akbar" before soldiers shot and injured him. Another attacker opened fire on a police van on Paris' Champs Elysees in April, killing one and seriously wounding two others. Police shot and killed the attacker in that situation. This is going to keep happening if the free world doesn’t work together to annihilate ISIS and other jihadists, as Secretary of Defense Mattis and the Trump Administration are beginning to do. This is why we at the ACLJ have been calling for years for a comprehensive approach to defeating jihad, laying out five concrete steps to fight radical Islamic terrorism. Read our comprehensive plan. Sign our petition and join the fight today.